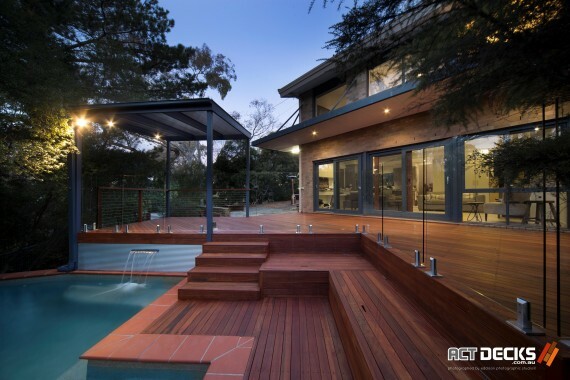 With most Australians spending summer by the pool, it makes sense to make a feature of it. 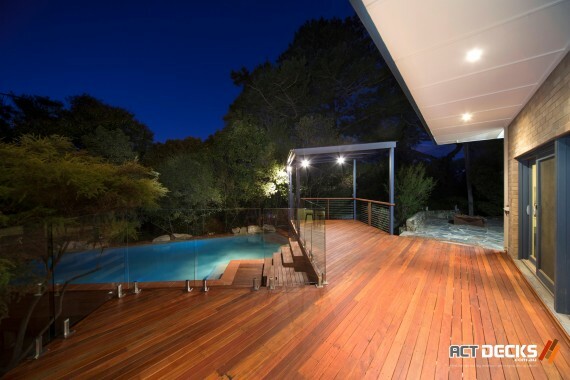 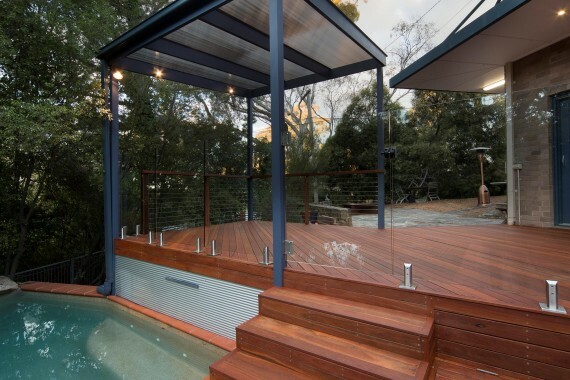 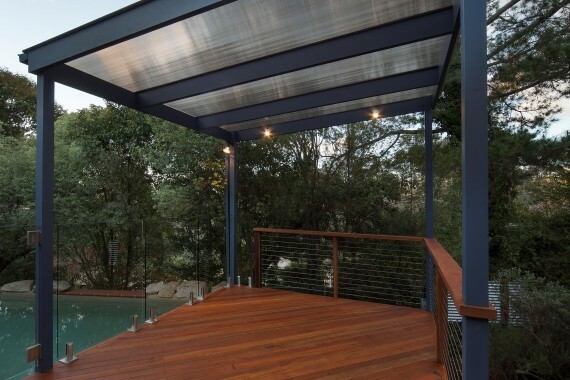 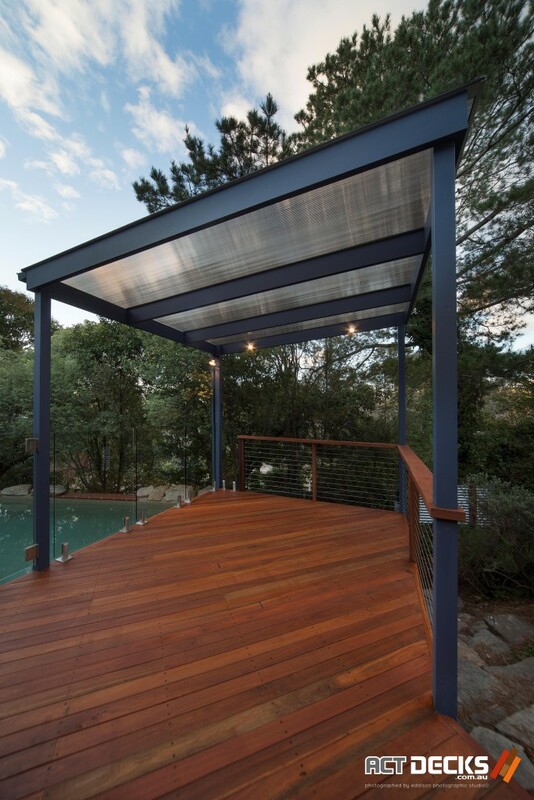 This seamless timber deck frames the pool drawing your attention down to its crystal blue waters while the raised pergola area and glass balustrade provides an unblemished view over the pool. 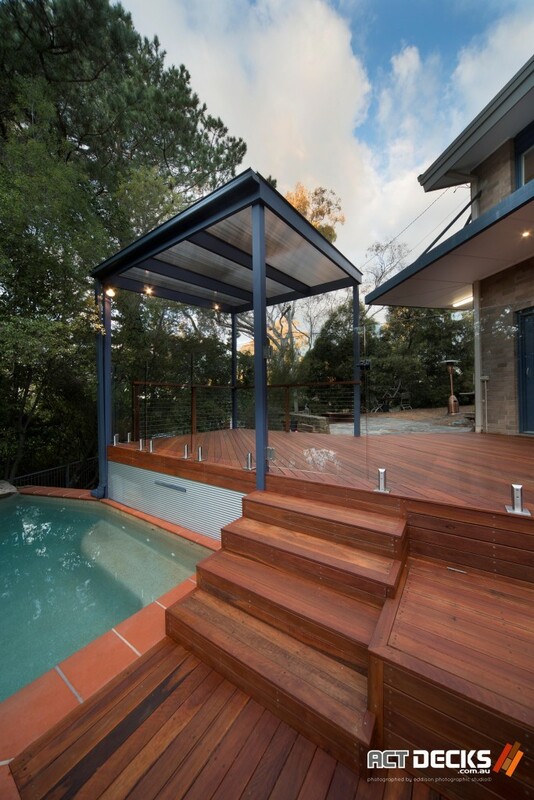 The custom made timber bench seating provides a place to relax and enjoy the sun with additional storage concealing pool equipment and esky below.